Developing a solid Risk Management Team may be easier than you think. Sure, you can hire a qualified Risk Manager at a 6-figure salary, but that may not be necessary. 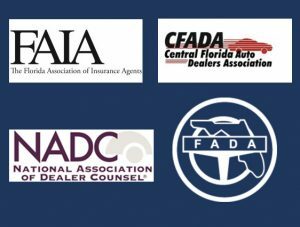 Take a look at your existing Dealership Team for help: Chief Financial Officer, Operations Manager, General Manager, CPA and your Attorney. Together with you (the Dealer), you have the inner workings of a Team that can analyze the needs of your Dealership and help mold a coverage (RFP) platform to protect your assets. Certainly, your CFO and CPA can help with the financial analysis to ensure that all of the figures and values are correct for Business Personal Property, Business Interruption, and other tangible assets. Your Operations Manager and General Manager can provide you with the necessary “eyes and ears” of what’s happening at the Dealership and help you standardize policies and procedures to prevent claims. Your Attorney should be able to review Dealership forms and help with selecting policy limits with regard to Liability and Umbrella coverage. I would suggest that you also include your current Garage Insurance Agent, or even better, an outside Insurance Consultant that can provide you with an objective overview of the market. Next, we’ll use your Team to map our historical claims. Watch for the next Info-Blast…Understanding Claims Trends and Loss Picks.